Lithuania's new Justice Minister Elvinas Jankevičius is described by people from his circles as a hard-working man who hates the bureaucratic attitude. But his former colleagues in the hometown of Varėna do not pay him compliments and would not appoint him minister as they feel betrayed by the politician's decision to leave the town to assume the position of a deputy minister of the interior. Early in his career, Jankevičius served as an aide to Gediminas Kirkilas, a lawmaker and chairman of the Social Democratic Labor Party, which nominated him. Kirkilas described Jankevičius as a responsible and creative person. He also added that Jankevičius "is also careful about his political career". "And that's very good as he's not jumping head-first into that career, he has doubts, and I like people who have doubts," Kirkilas said. After a group of political veterans split from the Social Democratic Party of Lithuania and founded the Social Democratic Labor Party, Jankevičius was elected a deputy chairman during the new party's convention. But it later turned out that it happened without his consent. Jankevičius, then an advisor to Prime Minister Saulius Skvernelis, later called it a misunderstanding and said he had no plans to join any party. But following his meeting with the president on Monday, he told journalists he did not discount such a possibility. "Life will show," he said. Skvernelis's advisor Tomas Beržinskas, who worked with Jankevičius at the Ministry of the Interior and later in the government, described the new justice minister as a hard-working person who hates the bureaucratic attitude to things. Beržinskas, the prime minister's advisor on public relations, says Jankevičius lets other speak with the media and does not like to speak about his work, preferring to stay in the shadow. "He's not the type of person who enjoys media attention. Sometimes we manage to talk him into speaking directly to the media, but most often he's likely to do the job instead of talking about it, even if it's done," Beržinskas said. In his words, Skvernelis has a lot of trust in Jankevičius since the times when Skvernelis became interior minister, as Jankevičius was the only member of the predecessor's team to stay. Jankevičius started his career in Varėna, becoming chairman of the Social Democratic Party's local branch in 2009. He was elected Varėna's mayor in 2011. Speaking with BNS Lithuania, local politicians in Varėna were rather critical of Jankevičius. "He's a nice person, as a person. But I would no way appoint him minister," Varėna's Deputy Mayor Giedrius Samulevičius, representing the conservative Homeland Union – Lithuanian Christian Democrats, said after working with him when he was mayor. Varėna residents were initially suspicious of whether Jankevičius really moved to Varėna after pursuing career in Vilnius. The law demands that local politicians declared their residence in the municipality they work in. Jankevičius served as Varėna's mayor less than two years and resigned in January, 2013, citing personal reasons. But he was soon appointed a deputy minister of the interior. 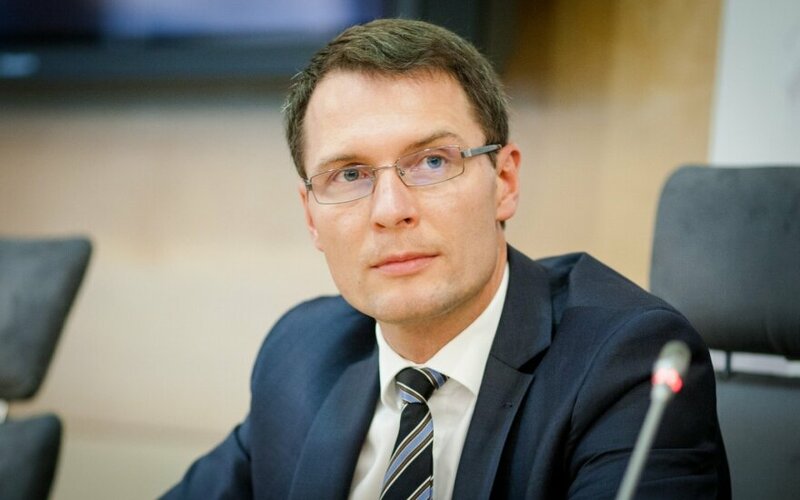 Rimantas Miliūnas, a member of Varėna District Council, told BNS Lithuania Jankevičius' decision disappointed party members and coalition partners. "He was mayor, took an oath to stay and then left. (..) If people of that level do not keep their words, these are different values," Miliunas said. Jankevičius has a degree in economics and social and political sciences from Vilnius Pedagogical University (now the Lithuanian University of Educational Sciences – BNS). Asked about his education in 2011, he said he previously studied in Germany but could not finish his studies due to visa problems. "I studied economics at a German university, was in the final year. There were times after the Revival Movement, when Lithuania was not in the EU, the visa issue was serious and they would extend or not extend it," he said.